Auriculotherapy can treat nearly any condition—if you know the right points to use. But with hundreds of ear points and protocols, searching for the right information can mean a frustrating slog, through a stack of books and charts. Who has time for that? We’ve saved you all the work by scouring 15 of the best references and texts and putting all the information at your fingertips, just a click away. Every point and protocol includes complete text information as well as illustration. With Auriculo 3D, you’ll have the right information, right when you need it—so you can see more patients and get more done. If you’re spending more than 5 seconds looking for auricular information, you need to stop what you’re doing, and get Auriculo 3D. With over 300 points on each ear, getting the correct combination is the most important part of delivering a successful treatment. That’s why Auriculo 3D has over 180 pre-made treatment protocols for almost any condition, and a powerful search feature to highlight the right points, right now. You can even add your own combinations to the treatment library, so your knowledge base grows with you. You’ll get the right treatment every time with Auriculo 3D. Ears are three dimensional. Charts aren’t! It’s time to stop the guesswork! A flat illustration can only take you so far when you’re trying to precisely locate an auricular point. That’s why Auriculo 3D shows you every point and protocol on an interactive 3D model. You can move, turn, rotate the ear—even switch left and right—to get the perfect view of every point. When your locations are exact, your treatments get results! For all its power, Auriculotherapy is vastly underutilized. Most practitioners simply don’t have confidence in their skills, knowledge, or information—so they miss out on the great results they could, and should, be getting. With Auriculo 3D, you’ll have absolute confidence in your point locations, combinations, and treatment protocols. The result? You’ll treat more patients, improve more conditions, and get better results than ever before! Isn’t it time you reached your full potential? We’re so confident you’ll LOVE Auriculo 3D, we include a 30-day, money-back guarantee. 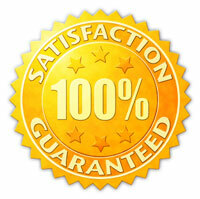 If you’re not satisfied for any reason, we’ll give you a full refund in the first 30 days. Tell Me How to Get it!